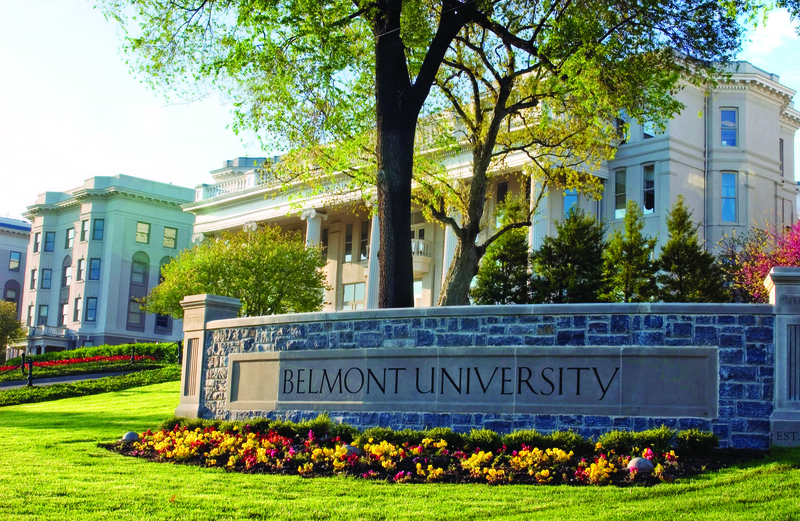 The Corporation for National and Community Service (CNCS) recently awarded Belmont University an important grant renewal that will aid in the University’s ongoing commitment to support education in Middle Tennessee. The renewal will help fund four AmeriCorps VISTAs (Volunteers in Service to America) to work in Belmont’s Bridges to Belmont office and partner high schools to continue work on “College 101,” a newly developed access and outreach arm in local high schools. There are currently about 125 AmeriCorps VISTA members in service across Tennessee, supporting the efforts of nonprofits, city governments or government departments, city-private partnerships, United Ways, and higher education institutions to alleviate and eradicate poverty through capacity-building strategies. Belmont is the only higher education institution in Nashville to currently host AmeriCorps VISTA members. Each VISTA member makes a year-long, full-time commitment to serve on a specific project at a nonprofit organization or public agency. In return for their service, AmeriCorps VISTA members receive a modest living allowance and health benefits during their service. About 8,000 VISTAs are placed each year in more than 1,100 projects in low-income communities around the country. The Bridges to Belmont VISTAs for 2015-16, the sixth year Belmont has had VISTAs on campus, have been conducting research into college access programs and compiling information to be used to help high school students and their families as well as to strengthen Belmont’s Bridges program. They’ve also worked with current Bridges Scholars to get feedback upon different academic and social aspects that they think could be improved to benefit future cohorts. VISTA (Volunteers in Service to America) was founded in 1965 as a national service program to fight poverty in America. In 1993, VISTA was incorporated into the AmeriCorps network of programs under the leadership of a bipartisan federal agency, the Corporation for National & Community Service (CNCS). Since its creation, AmeriCorps VISTA has carried out its mission to address the root causes of poverty and inequality in America. To date, more than 200,000 people have served as AmeriCorps VISTAs, and last year almost 7,800 VISTA members supported more than 1,100 projects around the country, assisting the 46 million Americans who still live in poverty today.